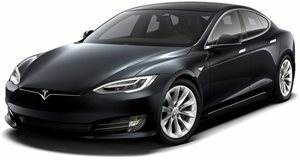 Tesla is no stranger to dealership controversy, specifically regarding its direct sales method. Remember, automakers don’t own their dealerships; they’re franchises, and dealerships have been fighting Tesla for years about its desire to change the status quo. And now USA Today is reporting that a federal judge has ordered two Michigan state lawmakers to hand over to Tesla records of their communications with dealership lobbyists regarding their intentions to block the EV carmaker from selling cars in the state. 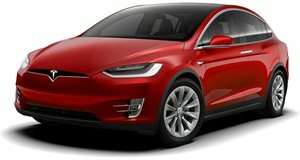 Back in 2014, Tesla sued Michigan in federal court over a law it passed that prohibited automakers from selling directly to customers. Instead, cars must be sold through – you guessed it – franchised dealerships. Tesla, however, argued that it was singled out by Michigan lawmakers, and that the ban violates its constitutional rights to due process and equal protection of the law. It also violates the commerce clause of the Constitution in that it discriminates against out-of-state carmakers. As it turns out, Tesla has made a successful case. A federal judge has denied bids made by State Senator Joe Hune and State Representative Jason Sheppard to quash the subpoenas Tesla served them for the records, describing those records as "fair game." Those lawmakers tried to claim their conversations with third parties, i.e. Industry lobbyists, were privileged and could therefore be kept private. But the judge believed otherwise, specifically stating that communication records between lawmakers and lobbyists must be handed over. This isn’t the same as attorney-client privilege. This ruling could also affect other Michigan lawmakers, including Governor Rick Snyder, in that other records between them and the Michigan Automobile Dealers Association could also be handed over to Tesla, which has, not surprisingly, already subpoenaed them.